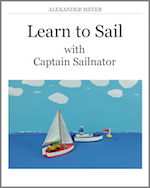 Welcome to my free beginners’ online sailing course. 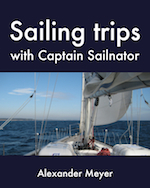 This lesson is designed to prepare you for a practical sailing course or as an accompaniment to it. 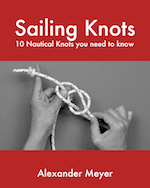 But it is also excellent for people who are returning to sailing and want to freshen up their knowledge. For those who have just started it helps to understand how sailing works and is also suitable to introduce family members, partners and friends in this wonderful sport. In the text I sometimes ask questions that end on “ … ?” Think about it and try to find the answer yourself. In between, you can watch all sailing manoeuvres in my stop-motion videos again. I wish you the best of luck in your sailing course, which I hope to prepare you well for.